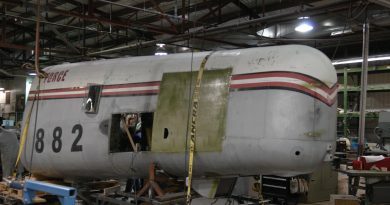 Now under restoration, Lancaster KB 882 will be completely rebuilt over the next several years. She will be revealed in her full glory during the 100th Anniversary of the RCAF celebrations in 2024. Avro Lancaster KB 882 was built in November 1944 by Victory Aircraft Ltd in Malton, ON — one of 430 Mk. 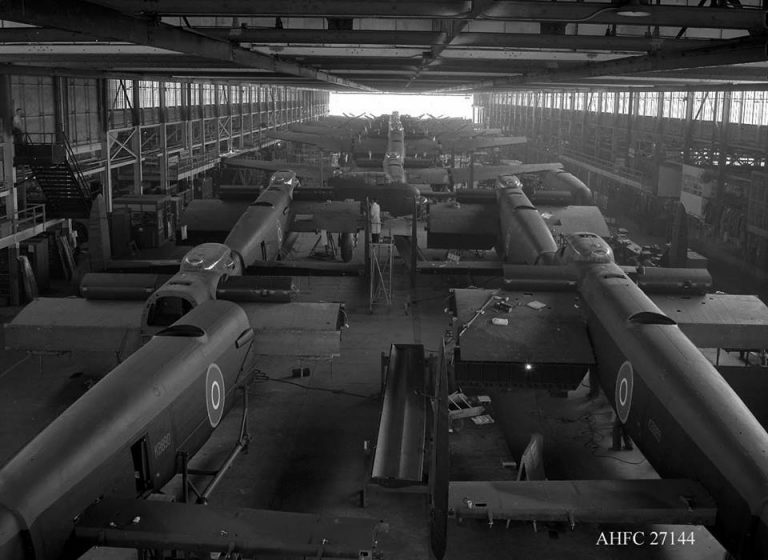 10 Lancasters built under licence in Canada. Ferried to England in March 1945, it was taken on strength by 428 “Ghost” Squadron, 6 Bomber Group and based at Middleton St. George, Yorkshire. Wearing the Squadron code NA-R, it flew 11 combat missions prior to the end of hostilities in Europe. KB 882 returned to Canada in June 1945 as it was destined to become part of “Tiger Force”, Canada’s contribution to the air war in the Pacific. The war ended prior to deployment and KB 882 was placed in storage at MacLeod, Alberta. 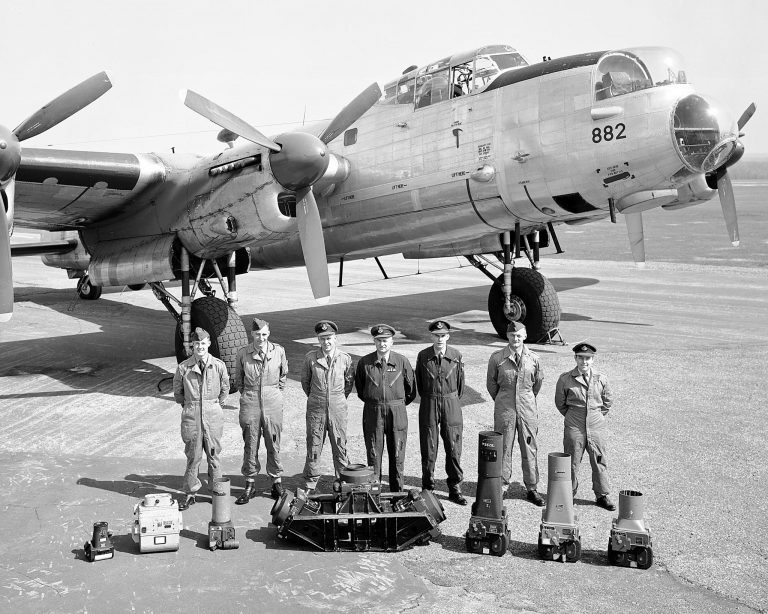 In 1956, KB 882 was taken out of storage, extensively modified and eventually delivered to 408 “Goose” Squadron at RCAF Station Rockcliffe, Ontario a little more than 12 years since its last operational mission. The most notable modification to KB 882 was to Mk 10 AR (Area Reconnaissance) configuration with included a 40-inch extension ahead of the cockpit in order to house the additional camera and RADAR installations. For the next 8 years, KB 882 flew a wide variety of photo mapping, intelligence gathering, and photo reconnaissance missions including the surveillance of numerous Soviet ice stations. It was also tasked to conduct photo and intelligence gathering during the Cuban Missile Crisis in October of 1962. 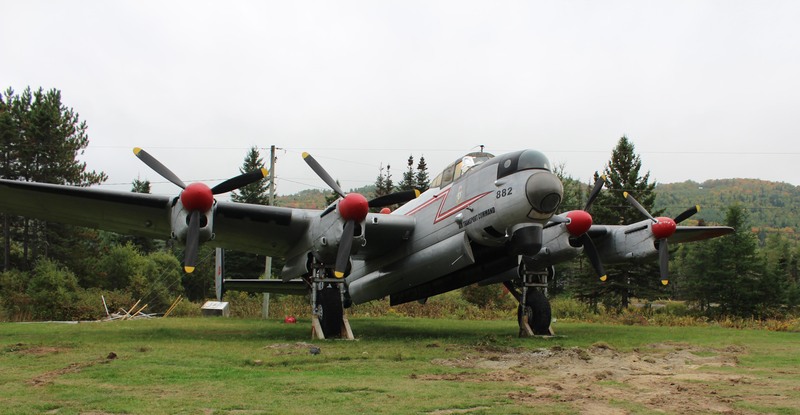 Struck off strength in 1964, KB 882 was bought by the City of Edmundston, New Brunswick and placed on static display at the local airport. In 2017, after more than 50 proud years on display, Lancaster KB 882 moved to its new home at the National Air Force Museum of Canada in Trenton, Ontario.